Which mobile messaging channel is best for your biz? 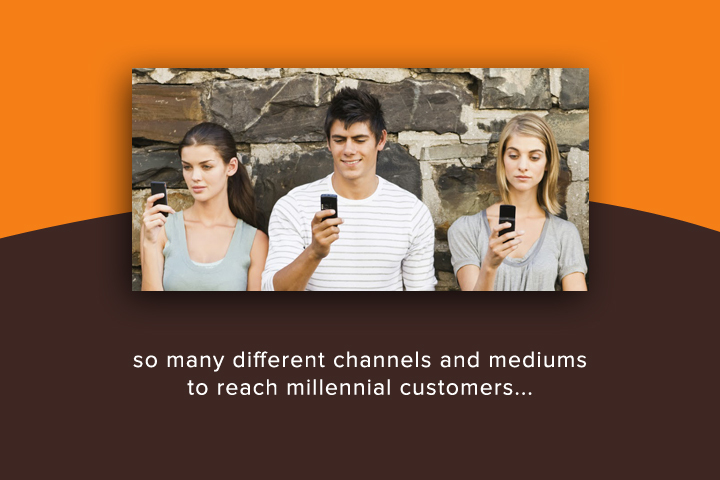 You know that your business needs to reach millennial customers via mobile devices, but there are so many different channels and mediums. How do you possibly choose the best one? Well, it all depends on what you’re planning to do and the message you want to send. Mobile apps. Over the past decade, one of the preferred mobile channels has been mobile apps. With mobile apps, brands are able to control the experience their users have and send push notifications directly to mobile devices in an effort to ignite action. But the trouble with mobile apps is that they appear to be dying off and customers are no longer excited about receiving lots of push notifications, which are often seen as intrusive. One of the classic channels is email. The wonderful thing about email is that it’s familiar and easy to use. Every millennial has some understanding of how email works and most have their email provider’s app installed on their devices. The problem with email is that messages from brands are frequently seen as spammy. Mobile wallets. While certainly not as popular as other channels, mobile wallets from Apple and Google are becoming more mainstream. They can be used by businesses to send out notifications and product updates when customers are near a store or coming up on a certain date. But pursuing the mobile wallet could turn out to be a long-term investment that might not ever pay off. The classic voice call will always be an option, but it’s less popular than ever before. Millennials despise telemarketing calls and are quick to dissociate with brands that call them unsolicited. However, there are some situations in which a phone call is the best option. Text messages have grown in popularity over the years and are seen as one of the major channels in today’s mobile messaging mix. The great thing about SMS is that messages feature incredibly high open rates and are generally seen within minutes. This makes SMS perfect for sending out timely messages. Unfortunately, not all brands understand how to use SMS for business communication. There are obviously some other forms of mobile messaging and communication, but these five are generally seen as the most common and high returning. But how do you know which one(s) to choose? Is there a certain channel your brand should be pursuing for maximum engagement and return? Thanks to the internet, you can find case studies, surveys, and data on just about anything you want – mobile messaging channels included. Dig around and see what the numbers say. Which channels do millennials prefer and how can you respect their desires? Every customer demographic and target market is unique. In order to really understand which channels your customers prefer (and how and when they want to be contacted), you need to speak with them. You can do this via surveys, focus groups, or casual one-on-one conversations. Just make sure you’re taking the pulse of your customers and not merely making assumptions based on what others tell you. What type of content are you sending? There isn’t a one-channel-fits-all answer to your messaging needs. Most businesses find that they require two or three different channels that complement each other. Sometimes email works and other times it doesn’t. SMS works in most cases, but there are times when voice calls are better. Know when to use each medium and recognize that a mixture of channels may be necessary. A lot of this comes down to experimentation. You can get a pretty good reading on what your customers will connect with by studying numbers, talking with them, and strategizing, but you eventually have to dive in and see what’s happening on the ground floor. Pretty soon, you’ll have an idea of what works. If you’re trying to go after millennials and reach them via their mobile devices, shouldn’t you just listen to what they have to say? At OpenMarket, we’ve meticulously interviewed, surveyed, and studied millennials regarding their communication preferences and affinities. When given the choice between only being able to talk or text on their mobile phones, 75 percent of millennials say they would rather lose the ability to talk (as opposed to text). Only 30 percent of millennials currently receive texts from businesses, but 75 percent of the ones that do find text surveys, appointment reminders, delivery confirmations, and promotions helpful. Roughly 60 percent of millennials find SMS alerts helpful because they’re “an effective way to be reminded on their own time.” More than half believe texts are the single most convenient way to be reminded of an upcoming appointment, payment, etc. These statistics clearly reveal two important truths: (1) Millennials are way more comfortable with SMS than we ever thought before, and (2) Not enough companies are leveraging this powerful mobile channel. At OpenMarket, we’re proud to provide our global customers with world-class mobile messaging solutions that allow businesses to engage with their customers via SMS. With both one-way and two-way messaging options, convenient APIs that allow for seamless integration with existing business systems, and superior support, the choice is obvious. Contact us today and we’ll happily provide you with more information!